Only Bangladeshi Candidates can apply these posts. Candidates requirement qualification are BSc in Engineering, Post Gradation degree, Masters degree, HSC and applicants also have computer training & typing speed for Bangla 20 & English 20 word speed per minute as a computer typist. Applicants must be attached 02 copy passport size photographs and all necessary certificates attested copy with application form. Candidates can submit application by both system evalop and Courier service. 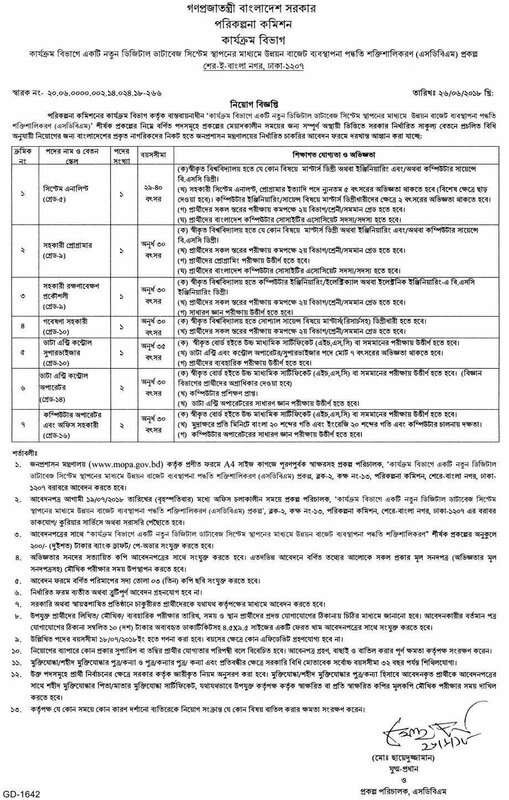 Application must be reached "Project Director, SDBM Project, Block No-02, Roam No-13, Planning Commission, Sher-e-Bangla Nagar, Dhaka-1207 before 19 July 2018 at 05:00pm by post/Koriar/Directly. See details circular from blow attached.